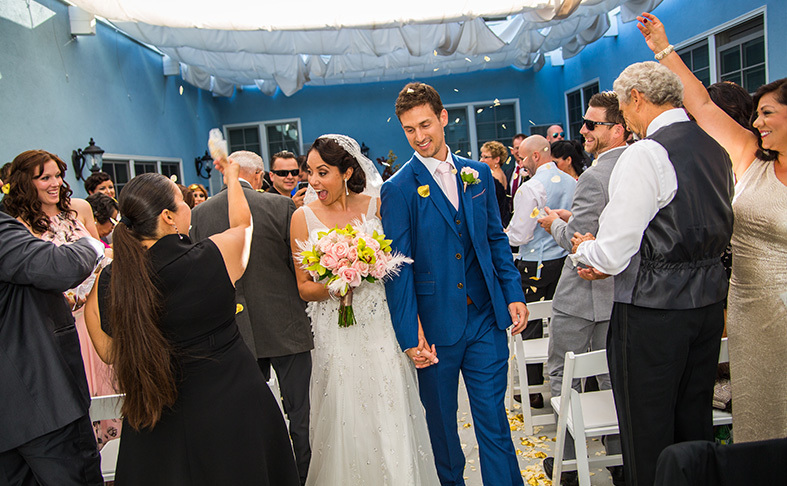 Every Lafayette wedding is infused with the abiding charisma and touch of glam every couple deserves. 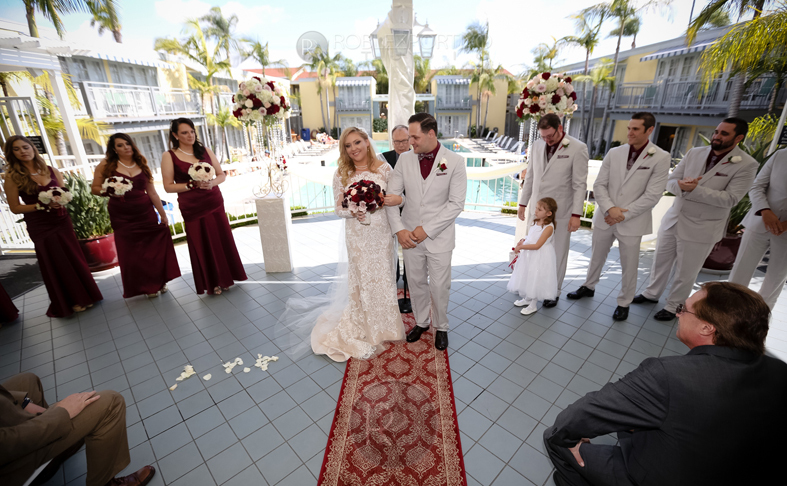 From sophisticated celebrations in our elegant ballrooms to light-hearted cocktail receptions on the terrazzo tiles surrounding the historic Weissmuller pool to whimsical ceremonies in our Courtyard, each event is as personal as your connection. 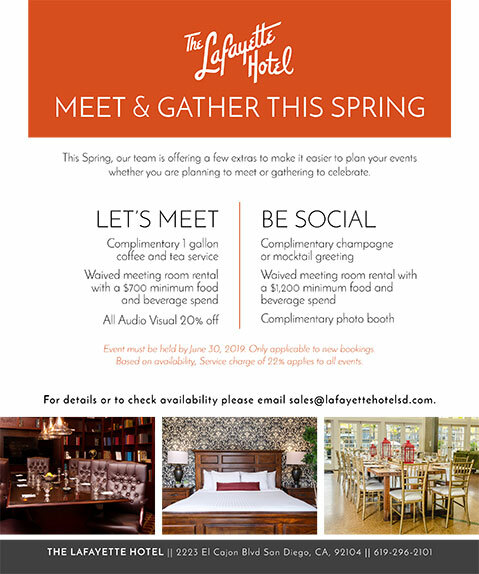 With five distinct venues, customized cuisine, personalized planning attention and the latest technology, The Lafayette will let you express your creativity in myriad ways. 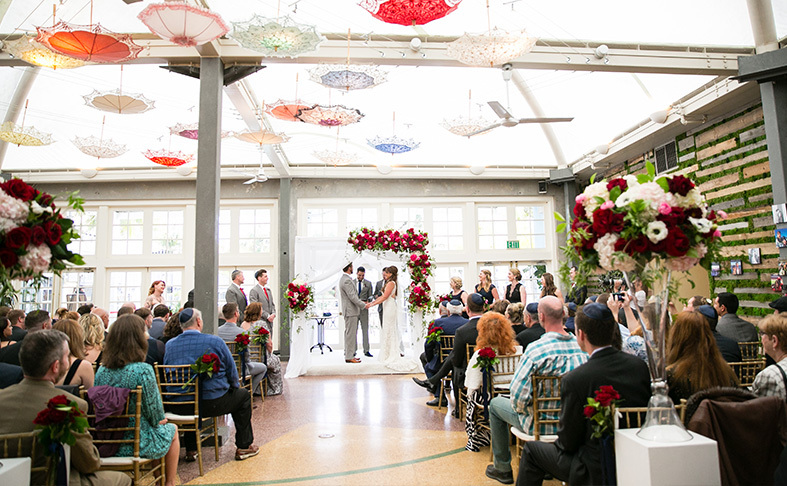 Don't just say "I do," make it a thoroughly Lafayette affair in one of the best places to get married in San Diego. 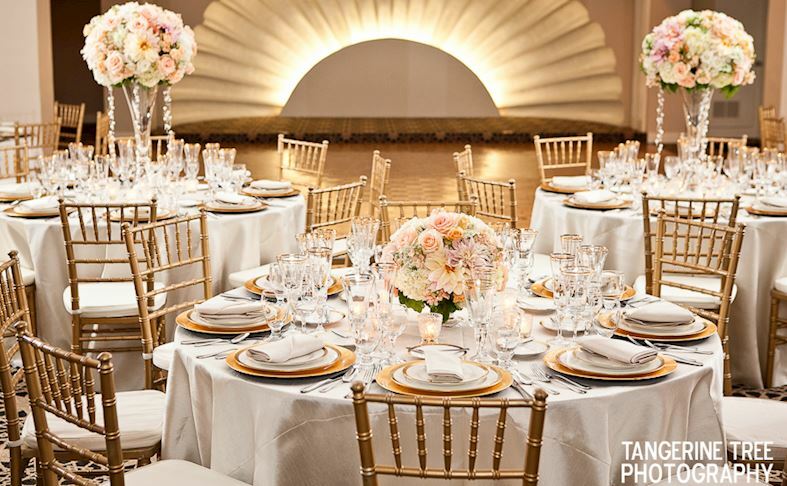 Host an epic celebration in our largest venue, with 5,200 square feet of elegant space. A huge dance floor and stage sets the tone for partying all night long and dramatic glass walls divide the space. A quiet nook lets you gather throughout the evening to catch your breath or enjoy intimate conversations. Thoroughly modern and updated, this venue offers 1,679 square feet and a massive wall of floor-to-ceiling French doors that open to a private courtyard. Enjoy the best of both worlds- a stylish indoor space for celebrating and a starlit area that offers a cozy respite for family and friends throughout the night. Set a whimsical tone in The Conservatory, a delightful 2,025 square-foot space that features funky umbrellas suspended from the ceiling, and dramatic floor-to-ceiling French doors that wrap the space in natural light and refreshing breezes. With space for up to 200 guests, this is the ideal venue for larger celebrations. Nothing says you're celebrating SoCal-style like an al fresco gathering around the famed Weissmuller Olympic Pool. Perfect for relaxed cocktail receptions or casual ceremonies, the terrazzo tile terrace is the perfect spot for guests to gather, sip hand-crafted cocktails and soak up our famed retro chic vibes. Celebrate unconventionally in our dreamy West Courtyard. The life-size chess and checkerboard floor and billowing overhead draperies set the tone for fun and unexpected wedding celebrations. 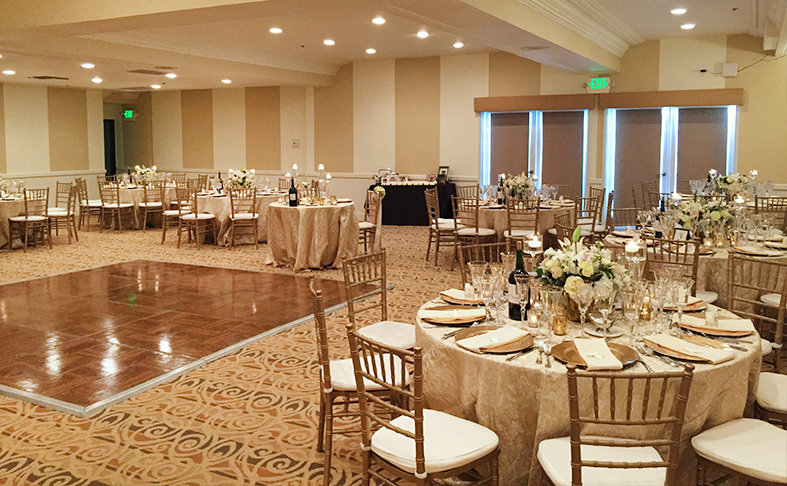 With room for up to 150 guests, this 1,320 square-foot space lets you get creative when planning your celebration.